On April 16th issue of #SingTao #RealEstate Guide [地產投資] column, we talked about the attractiveness of #RichmondHill #Devonsleigh properties. Located within close proximity of Richmond Hill High School, often with a larger lot and more practical layout, these homes have potential, case in point, our current listing 70 Devonsleigh Boulevard. Visit our #OpenHouse on 28th-29th to see and feel the difference. The article text is provided below. 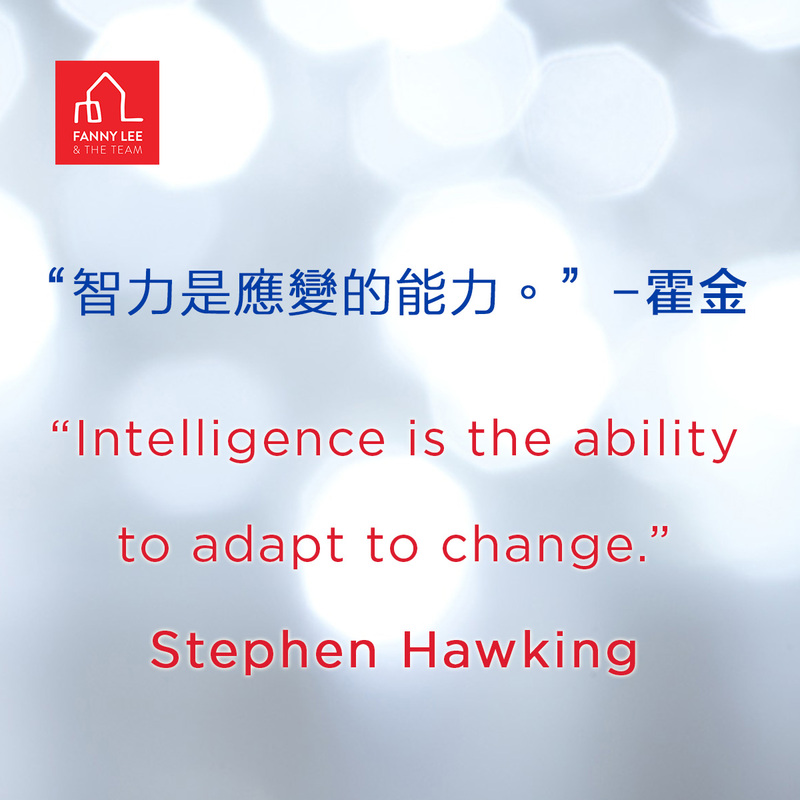 ** 按 Fraser Institute, 另外兩間名列首20安省的列市中學是 St. Therese of Lisieux C.H.S. 和 Bayview S.S.
5 min. to GO Station; 6 min. to HWY 7; 7 min to HWY 407. MLS# N4103142 Description: Gorgeous Sun Filled Townhome, Excellent Layout, 3 Bed 3 Bath, 1850 Sqft. 2 Cars Garage And 2 Cars Driveway, 2 And Half Year New. Featuring Oak Staircase, Large Deck, Large Windows, Modern Kitchen W. Stainless Appliances, Quartz Counter, Ample Of Cabinetry, Master Rm W. 5 Pcs Ensuite, Walk In Closet, Main Floor 9 Feet Ceiling, Recreation Room Can Be Converted To 4th Bdrm. Must See. **** EXTRAS **** Electric Light Fixtures, S/S (Fridge, Stove, Washer, Dryer, B/I Dishwasher), Cac, Alarm System (Contract Ends Nov). Auto Garage Dr Opener & Remote, Window Covering, High Efficient Furnace And Hwt (Rental). Park 4 Cars. 1. Bank of Canada kept its rate unchanged at 1.25%. Those with floating interest rate mortgage could take a breather. 2. Hong Kong billionaire Li Ka Shing is one of the 3 short-listed bidders for Bombardier's Downsview site. Although the land was valued at $150-million, the bid reached as high as $700-million. 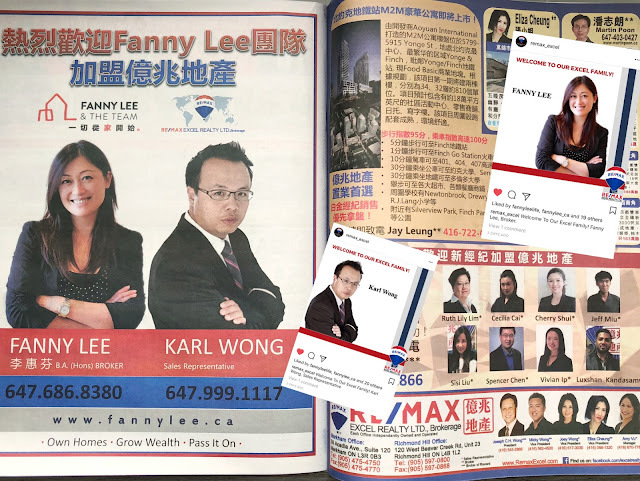 Toronto land is in demand. 3. Hong Kong listed Aoyuan International's M2M project, redevelopment of Newtonbrook Plaza near Yonge / Finch subway station into 5 mixed use condo buildings with ~1,600 suites., will launch soon. We will have Platinum VIP (the very first and the very best) access to this prime location project. Contact us today. After 3 days of ice and rain storm, thank goodness, things are finally resuming the normal course. Like today #TuesdayQuote suggests, sun will shine. 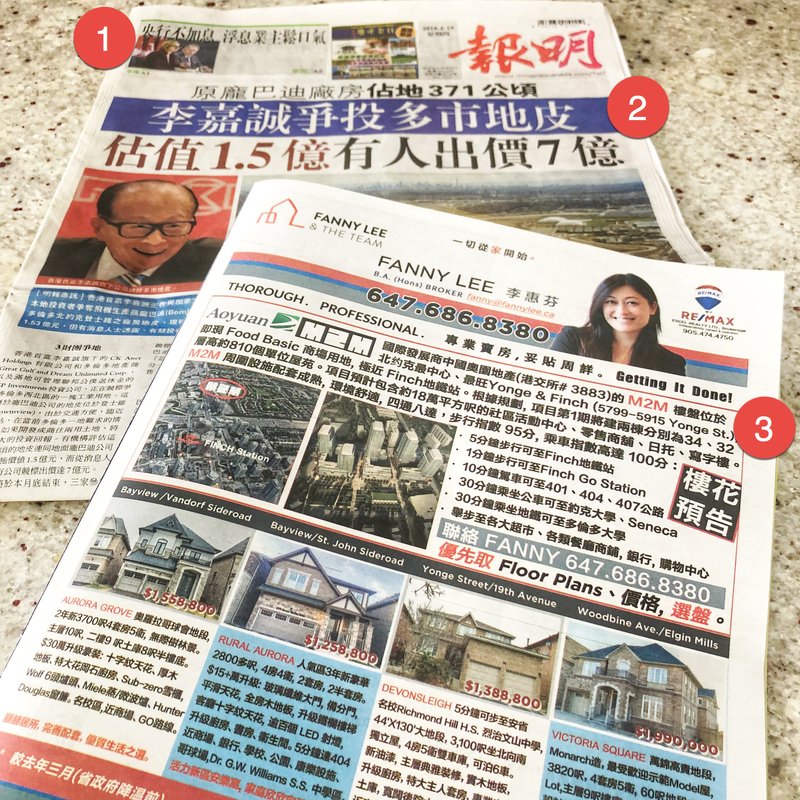 199 Thomas Phillips Drive is featured in this week Ming Pao Goldpage. 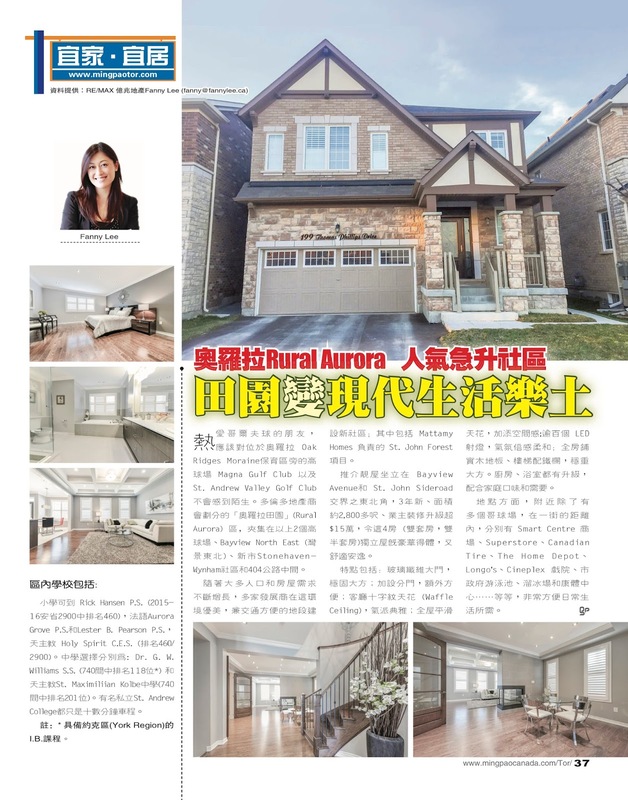 In this Chinese article, we briefly introduce the Rural Aurora neighbourhood as well as this greatly appointed Mattamy Homes built house. Here are details of 199 Philips Drive, Aurora. 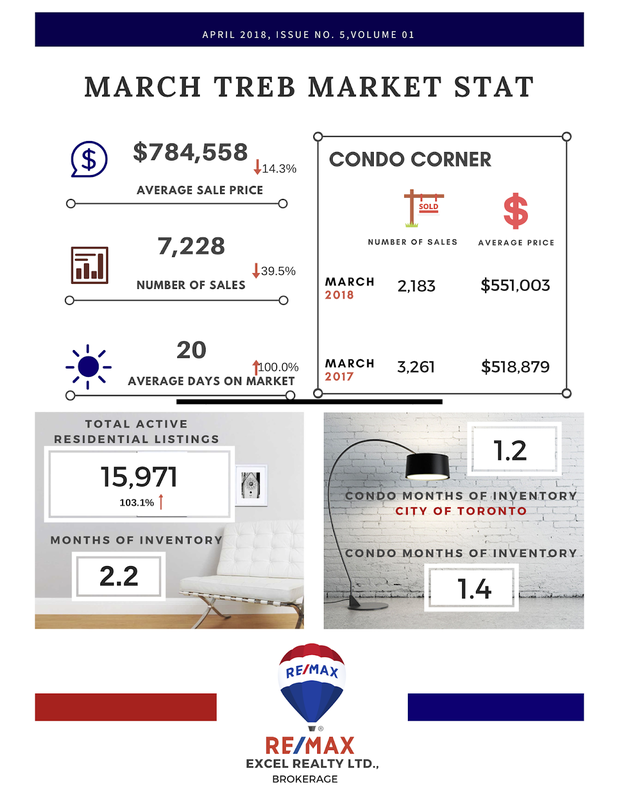 Key numbers from #TREB March 2018 Statistics. 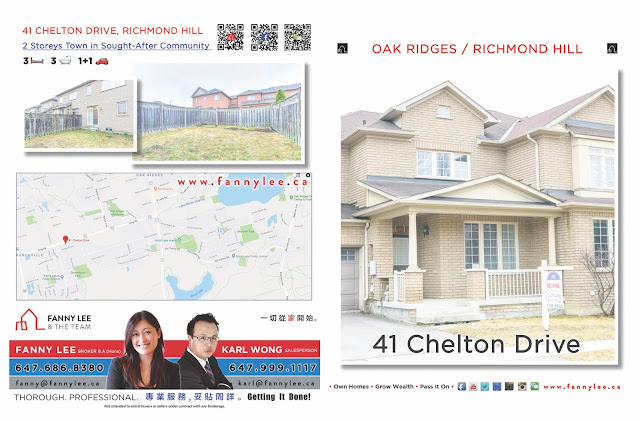 MLS 4087974 Description : Immaculate Home Located In The Heart Of Oak Ridges. Quiet Neighbourhood With Great School. Boasting 9 Ft Ceilings, Open Concept. Bright And Comfortable. 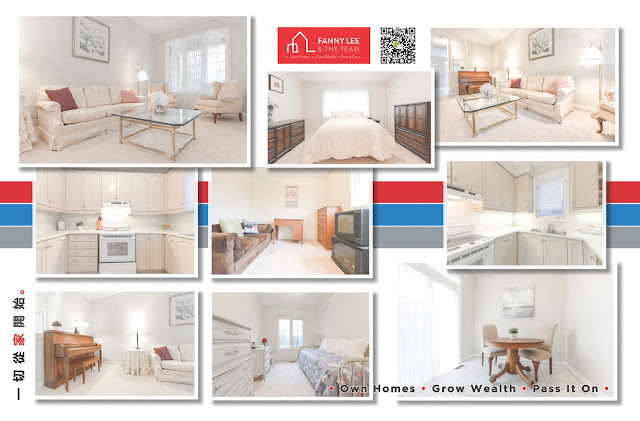 Spacious Kitchen W/Under Valance Lighting & Breakfast Bar. Oak Staircase. Master Bed W/ 4Pc Ensuite, W/I Closet & Double Door. Good Size 2nd & 3rd Bedroom. Attached Garage. Extra Door From Garage To Backyard. Nice Porch. 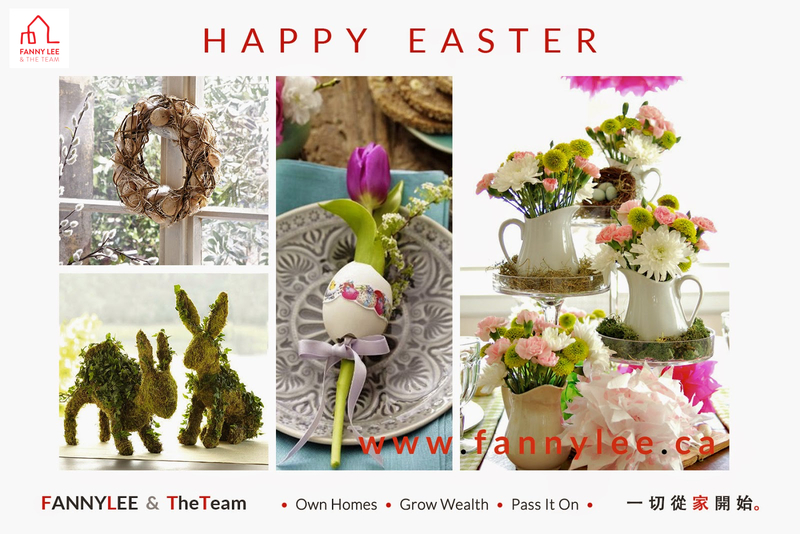 Move In And Enjoy!!! **** EXTRAS **** Includes Fridge, Stove, Vent Hood, Washer And Dryer, All Elf's, All Window Coverings And Blinds, Water Heater Is Rental. Close To All Amenities, Public Transit, Parks, Conservation, Schools, Supermarket, Restaurants. A new quarter, a new chapter, a new look. Let's take a look of our new #MediaAdvertising. 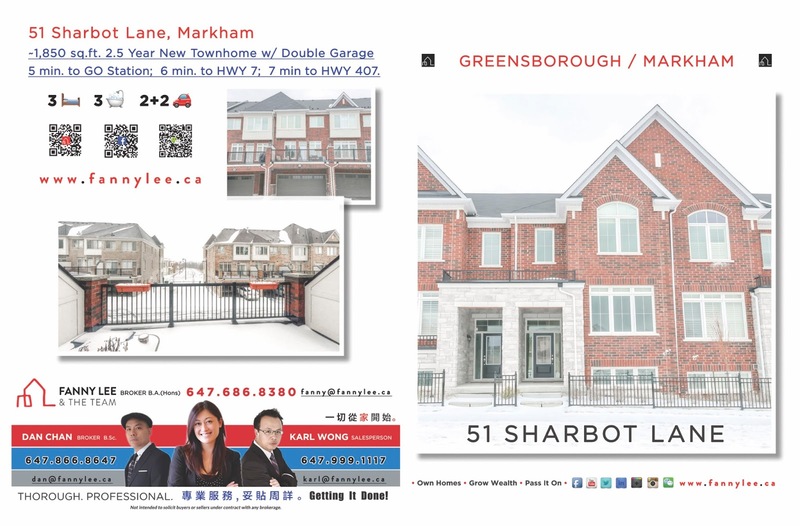 As our clientele tell us, they like to learn not only about the #resale but also #NewCondos opportunities. This week, we are offering the #PlatinumVIP (the very first, the very best offer) access to #PLAYGROUNDCondos by #Fernbrook and #Cityzen. 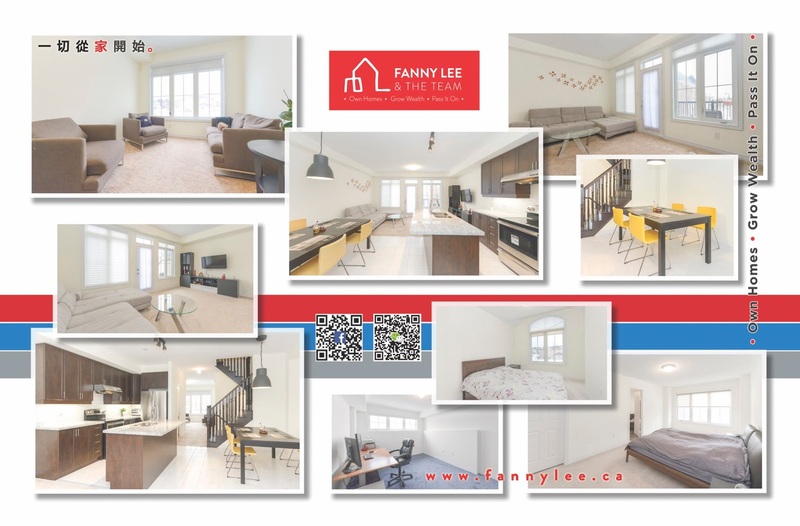 It is your chance to score a #KingWest / #LibertyVillage residence next to 4 acres park with incredible #WalkScore and perfect #TransitScore. Make an appointment to secure an unit. Seize this timely #HomeOwnership moment before the market takes off.